Reusable wipes for glasses, monitors & Smartphones. 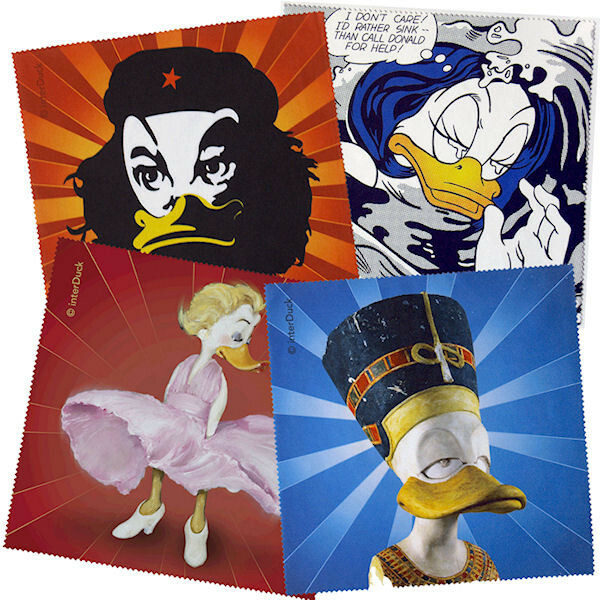 A way to guarantee that your screens and specs are never smudged: put one of these high-tech cloth wipes in your beak before you leave the house! 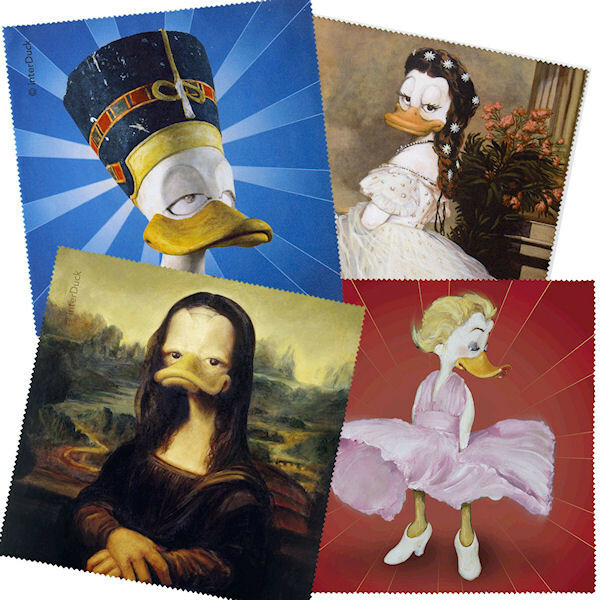 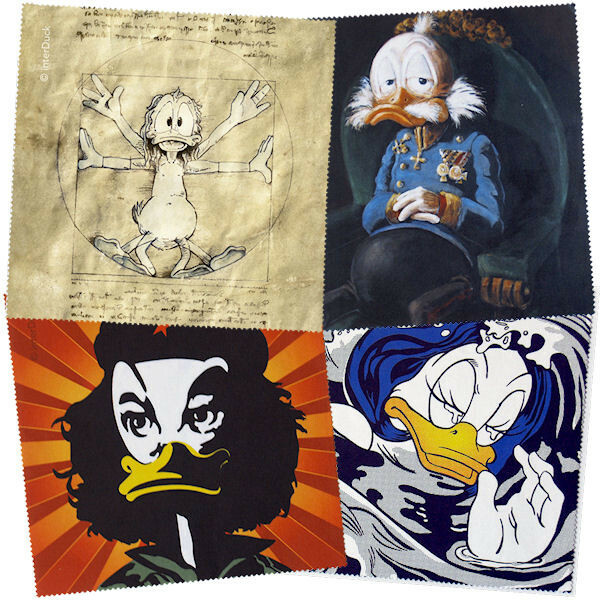 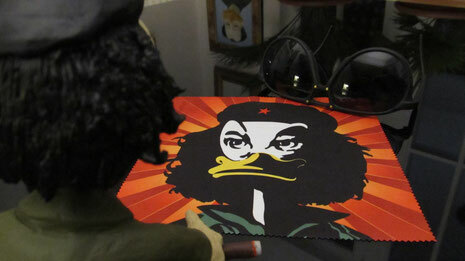 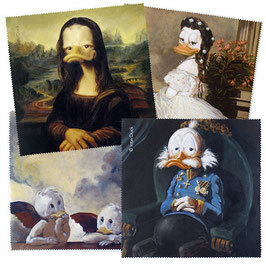 Featuring 9 different DUCKOMENTA motifs, 30°C washable (preferably hand-washed).